Looking to build a swimming pool in Las Vegas? Check out this selection of the best swimming pool contractors in Las Vegas. If you review this pool builder list and realize you’d like to simply buy a home in Las Vegas with a pool, check our complete website of home listings with pools and neighborhoods with community pools as well. We took the time to only bring in contractors that have reviews. 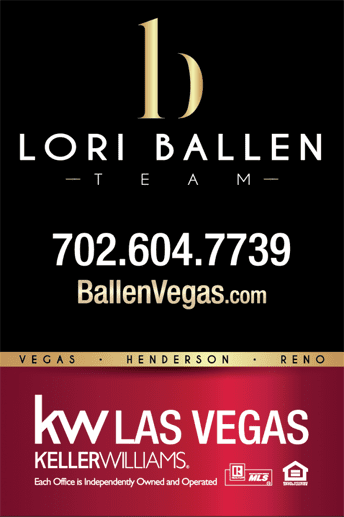 Being a Las Vegas real estate company, we understand the power of word of mouth. It’s an age of social media and trust and we trust people we know or people our friends know. Gone are the days of a pure search engine search to find our service providers. We want to know that people we trust have used these vendors before. If we don’t have reviews from a friend, sites such as Yelp, Angies List, and Google offer up customer reviews as well. This list is provided as a courtesy and Lori Ballen does not personally suggest any one over the other. Use the videos as a guide and set your own standards for who you would choose as your pool builder. Here’s your List of Best Pool Builders in Las Vegas and Swimming Pool Contractor List based on reviews, yet in no particular order. Browse Homes For Sale in Las Vegas with a Pool Under 200K Now, or click the links below to browse more. Since 1952, California Pools has developed a place within the swimming pool industry as the recognized leader. Their mission to serve their customers with quality, professionalism and trust. 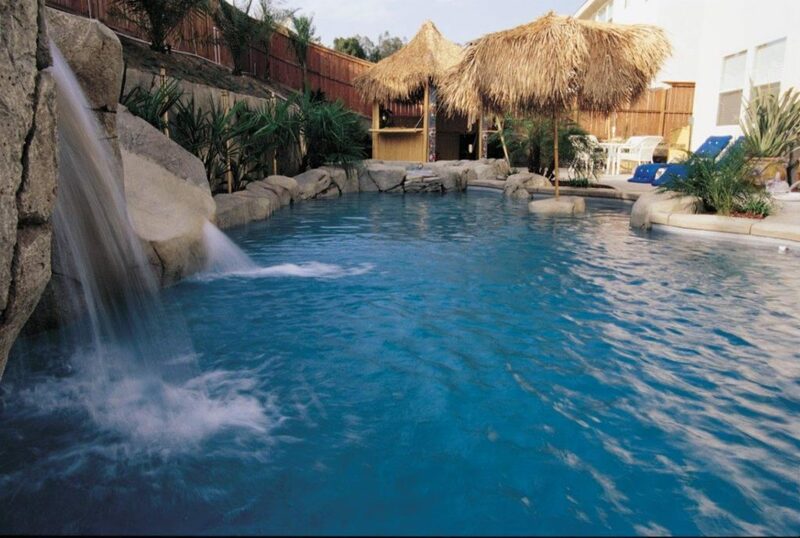 This is the reason why over 70,000 customers have chosen to build their backyard sanctuary with California Pools. Their experienced design consultation team is ready to develop your vision with you. California Pools offers custom swimming pool / spa construction, swimming pool remodeling, outdoor kitchen installation, backyard accessories, and swimming pool water features. With their expertise, they can custom design or remodel the backyard destination you desire. Vintage pools was created with a high level of service and attention to detail & customer satisfaction. 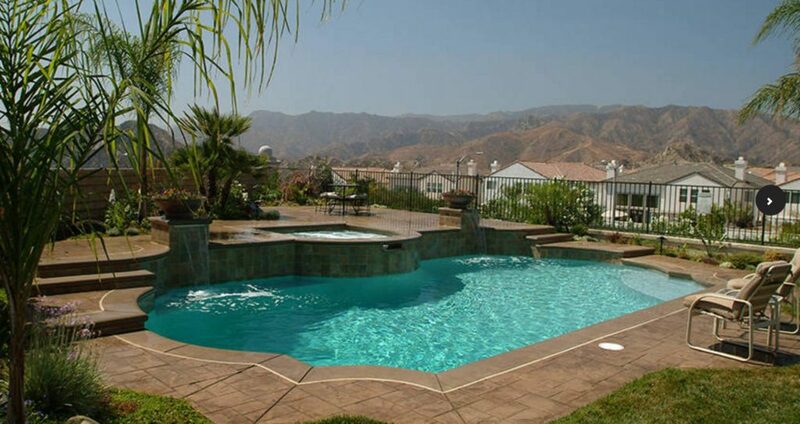 They offer Las Vegas homeowners custom pool design and construction they can rely on. Vintage Pools works closely with homeowners, understanding their needs and getting to know their personal style to help them achieve a custom swimming pool design that fits their lifestyle and their budget. They understand the commitment of time, money and trust that a custom swimming pool requires, and honor the confidence you place in them by striving to provide the highest levels of craftsmanship, service and long term value. Artistic Pool/Spa, Inc. is pleased to offer our many years of personalized pool construction experience in the Las Vegas area. They have customized programs to fill your specific needs. Artistic Pool and Spa takes pride in offering their customers personal and direct supervision during the construction of their backyard dream from contract to completion. The ownership and staff always value a strict work ethic with customer satisfaction as a top priority. This dedication to excellence shows in every project and is reflected in our reviews. Whether Exquisite or Simple… we look forward to fulfilling our customer’s backyard vision. 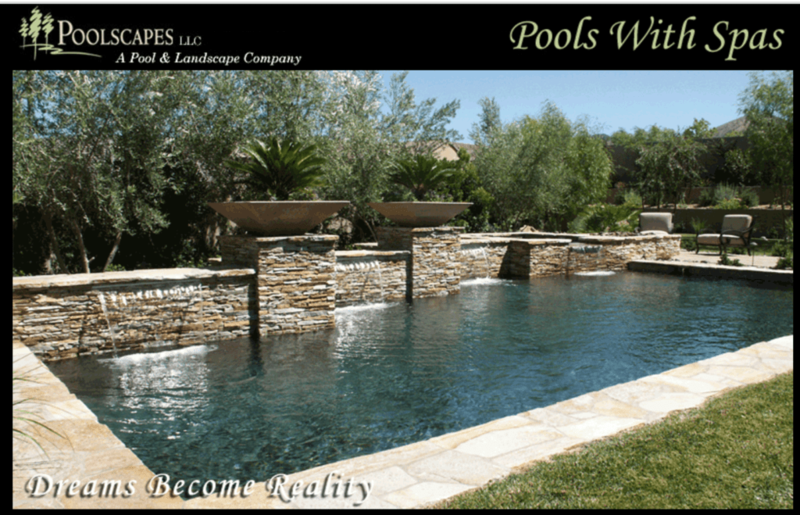 Poolscapes LLC is an award winning pool and landscape company committed to 100% customer satisfaction. 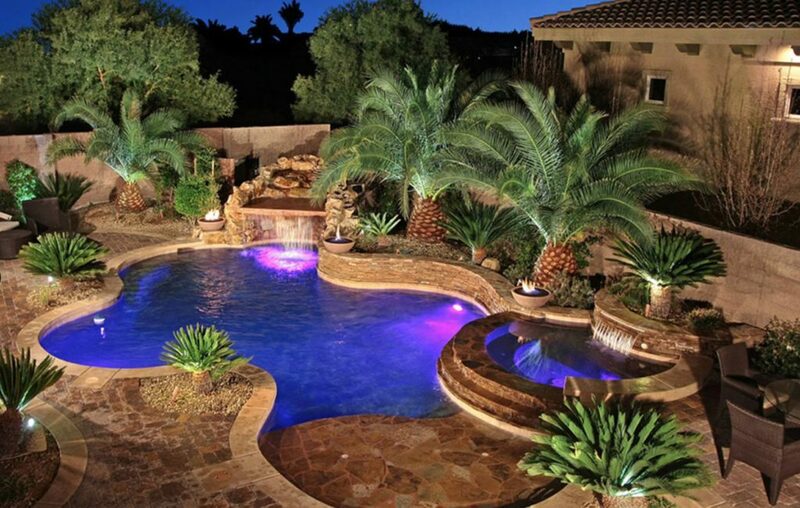 Their many customer referrals and growing number of pool and landscape projects in the Las Vegas Valley are a testament. Personalized service, attention to detail, along with experienced designers, Poolscapes creates for you a master planned outdoor home environment you can really enjoy. Our 20 plus years of experience in swimming pool, landscape design and construction in the Las Vegas area benefits their clients. Knowledge you can trust, an investment you can relax in.